Our friends over at Gizmodo reviewed Hammacher Schlemmer’s Terminator style Snowball Launcher. The verdict: no match against a sharp eyed college baseball pitcher’s fast ball but it sure looks cool. 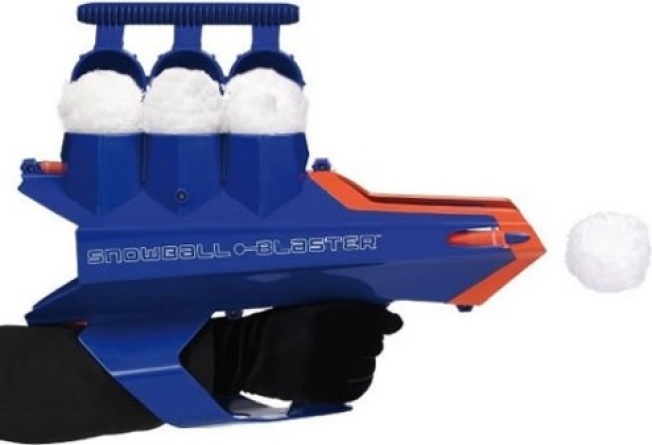 The toy blaster fires off softball-sized snowballs up to 50' “allowing rapid, long-range assaults during neighborhood snowball confrontations.” To operate, place snow in the forming chamber (best when slightly wet), close the lid, aim at an unsuspecting neighbor or passer-by, pull back the slingshot mechanism, and let the arms race begin. Because the blaster is powered by elastomers (we’re assuming that’s some kind of rubber band thing) instead of batteries, it provides “uninterrupted, fast-action play”. Ages 8 and up are recommended just don’t shoot your eye out.